As extra-dimensional entities it may be extremely difficult, if not impossible, for humans to truly understand how Mi-Go technology operates. However, several points can be made. First, there is a high amount of integration between Mi-Go technology and biology; one could almost call it a continuum. In fact, it appears that their technology is a strong operating mechanism for artificial selection. In other words, it appears that the Mi-Go control or direct their evolution in a very conscious way. They create their own species, solely based on what demands are imposed on their population. HPL clearly states in The Whisperer in Darkness that the Mi-Go are masters of surgery and therefore extreme body modification. While some species can inherently travel through interstellar space, others required mechanical, surgical, chemical and/or biological modifications to fly in space. Still others can’t travel through space but instead use extra-dimensional portals. Does this mean that these three “species” are a gradient or transition from non-space traveling to space traveling Mi-Go? If so, does this make the non-space traveling M-Go living fossils? Again, this emphasizes how Mi-Go biology and technology are so intertwined. While the Mi-Go use their own technology to direct their evolution (their version of artificial selection), they have also been known to employ their technology on other non-Mi-Go species. This is a specific reference to the brain cylinders. The brain cylinder is a device developed by the Mi-Go to provide a means for other entities to travel through space, time and other dimensions. 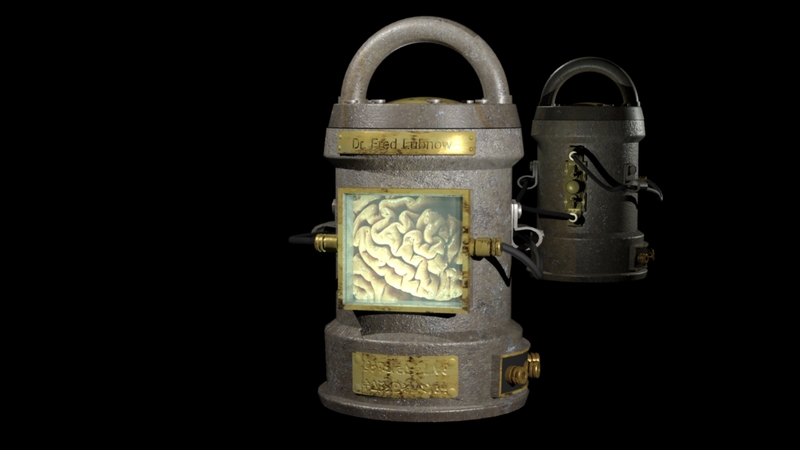 The cylinder can be connected to devices that allow the entity’s brain to see, hear and speak. This again demonstrates how the Mi-Go are masters of surgery and biology. Two things should be pointed out. 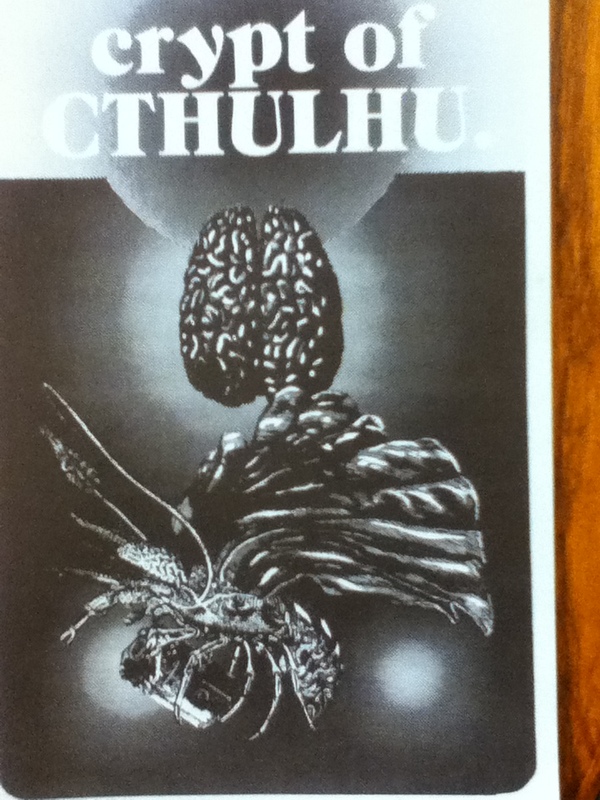 First, HPL was extremely innovative in his perspective of an alien abduction. Unlike other writers at the time, who had their human-like aliens flying through space in rocket ships, the Mi-Go (like the Elder Ones) can survive and travel through space on their own. Additionally, the mind but not the body of other entities could be encased in the cylinder and protected against the harsh environments of space and other dimensions. This was a very unique way to travel. Second, as described in The Whisperer in Darkness, the brain cylinder and associated equipment does not appear to be of true alien origin. While the cylinder and equipment are based on a Mi-Go design, they are constructed with Earth-bound materials and more than likely are built by the Mi-Go’s human agents. More than likely, some of the rare minerals that the Mi-Go mine for on Earth are used to construct the brain cylinders. So if the brain cylinders aren’t uniquely alien technology, how can the brain, separated from the body be preserved and protected? I hypothesize that the true alien technology is not the brain cylinder but the specialized fluid inside the cylinder. This viscous material is more than likely biological in origin, an elaborate and extra-dimensional prion-like substance. In sharp contrast to Terran prions that end up mis-folding or distorting proteins , resulting in the destruction of healthy tissue, Mi-Go prions constantly repair and maintain the healthy state of the brain by preventing decomposition and chemical breakdown. This intracellular activity allows the Mi-Go prion to harvest extra-dimensional energy (known as dark energy) from the same point in space (but from another dimension), using most of the energy in keeping the brain healthy but having enough surplus to keep itself in operation. All of this is extremely hypothetical and until an actual sample of this material is collected and studied, no additional light can be shed on the matter. A few concluding points. Removing a brain from a body is not as simple as removing / replacing a heart or liver. Remember the brain is the central part of an elaborate and complex neural network that includes the spinal column and associated nerve endings distributed throughout the body. Thus, for the Mi-Go to have the surgical ability and talent to remove the brain from the rest of the nervous system and keep it in operating condition is quite a feat. However, it is not known if this process is reversible; can a brain be successfully placed back into the body? If so, can the brain of one entity be placed into the body of another? Finally, it should be noted that while the Mi-Go have a vested interest in keeping hidden from most of humanity, in order to continue to mine for rare minerals, their reason for putting sentient minds into the cylinders and traveling with them through interstellar space, deep time and other dimensions is ambiguous. I don’t think the Mi-Go are doing this to “share” their knowledge with others. Similar to the Elder Ones, the Mi-Go are scientists but far more cold and alien. The Mi-Go experiment with other forms of life, the way a small boy plays with captured beetles or frogs. Thus, the ultimate purpose of the Mi-Go in removing brains from other beings remains largely unknown. Very interesting! The brain cylinders was, as you stated, very innovative at the time. I feel that it is unjustly cliched. The removal of the brain would be so difficult (again, as stated) – I mean, having to remove the brain and disconnecting it with most if not all of the nervous system, then taking the process of moving it and putting it in the cylinder – ALL THE WHILE keeping it preserved – must be incredibly difficult. 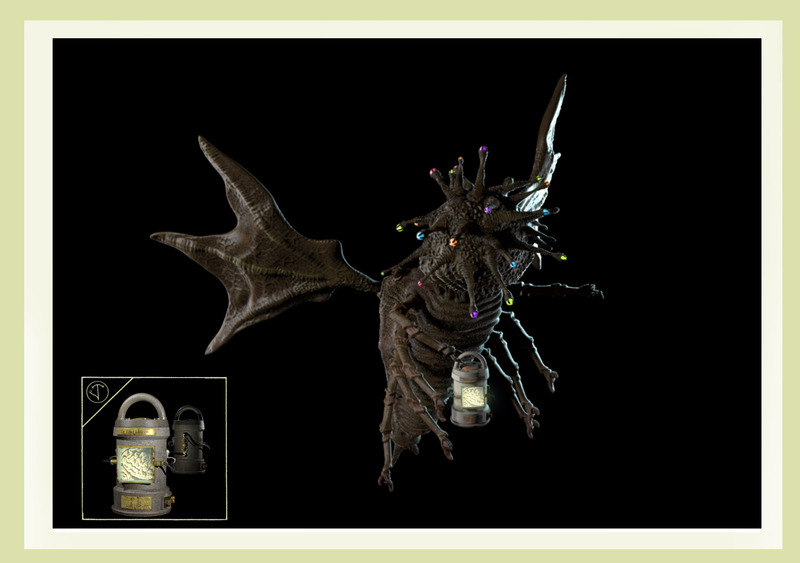 The Mi-Go were always the scariest to me. Again, I agree with you when you say that they recklessly experiment with life in strange and cold ways. And, based on the last sentence of “The Whisperer in Darkness,” I agree with S.T. Joshi and David Schultz on the point that the Mi-Go/Outer Ones want to enslave humanity and make Earth the next Yuggoth. No problem Brian – thank you for the comments. Whisperer is one of my favorites, second to At the Mountains of Madness. I think the hardest point is *keeping the brain in perfect state* meantime you cut it off the body and place it in the jar. It’s scary but at the same time extremely interesting to know how do they make it.